The eighth release of Apple’s awaited mobile operating system, iOS 8, was finally announced at the Worldwide Developers Conference (WWDC) 2014. Adding new aspects, iOS 8 is indeed beaming with a plethora of new features as well as the enhanced old ones to provide a better user experience. 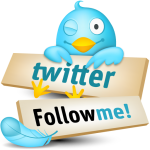 Below are some highlights of the amazing features of this platform. 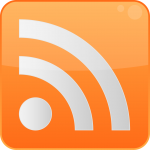 Interactive Notifications: Notifications in this version permit the user to respond to texts without leaving an app already in use. Health Hub: The biggest new addition in iOS 8 is this app that collects your health and fitness data. Not only this, the health data will also pour in from external accessories, like Nike’s armbands etc. Multitasking View: The new multitasking view shows a list running apps, recently called numbers as well as frequent contacts. QuickType: QuickType, which is used for predictive typing will suggest whole phrases, based on what you have typed, and not only your word choices. Additionally, iOS 8 allows installation of third-party keyboards. Family Sharing: The feature called Family Sharing has made it possible to create a family group of up to six with individual Apple IDs that can share a single set of iTunes media, App Store content and more. Siri: In iOS 8, the always-on Siri features the Shazam song recognition service and flaunts streaming voice recognition and 22 new dictation languages. Photos App: The Photos app now offers even more options to edit photos. The so-called Smart Editing has become richer, easier, and will now sync edited photos across devices. Developers got their hands on iOS 8 earlier but users with compatible iDevices had to wait until September 17th to upgrade to the next iteration of Apple’s mobile platform. Make sure your apps take advantage of all the great new features in iOS 8, which is now available to hundreds of millions of customers around the world as a free download. Over the last few years, Apple’s iPhone line of smartphones have changed the face of communication, entertainment, and more. No other smartphone in the market possesses such features that could beat the iPhone. Some of the significant features and functions of the iPhone make it a preferred device throughout the globe. Its usability, battery power, smooth features, display, and design keep it in the front row. Apple fans, here’s a good reason to get excited: Apple is planning to unwrap its new Smartphone ‘iPhone 6’ with smart new features this fall. So, what are the unique features that we can expect from it? Let’s take a quick look. Now-a-days, many technology lovers prefer to buy smartphones that have a gaming console. So, following the gaming trend, Apple’s next-generation Smartphone, the iPhone 6, is coming with 3D sensors for gaming – the rumors says. This upcoming Smartphone will have a curved, larger display as well as very sensitive sensors. 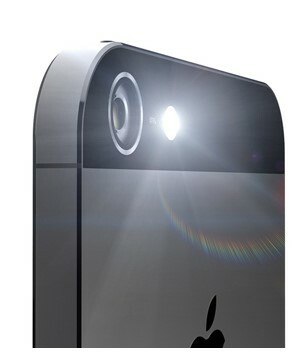 For the iPhone 6, Apple is said to be installing a new “middle-mount open-loop voice coil motor” to control its camera. Unlike iPhone 5s, it will have image sensors, automatic image stabilization, and dual-flash LEDs for improved color effects. In terms of sensor resolution, KGI Analyst Ming-Chi Kuo believes that the phone will use an 8 megapixel sensor, similar to the existing one for the iPhone 5S. 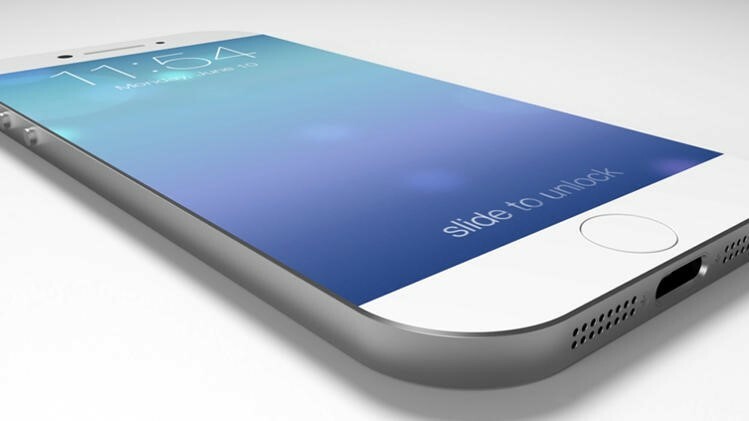 The iPhone 6 is going to take its design features from the iPod Nano and the iPhone 5C. This new handset is said to have a battery of between 1,800mAh and 1,900mAh. 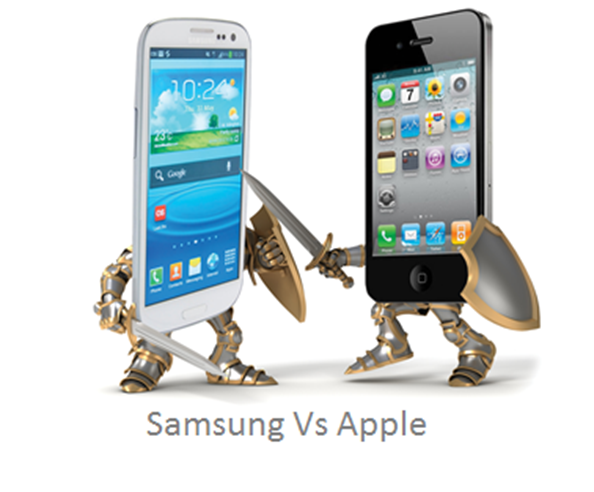 The battle lines have once again been drawn between the two tech giants– Apple and Samsung. But, this time, it’s a tablet war. Let’s see how these tech giants measure up against each other. A few years ago, tablets were unknown handheld devices for many people but today they are the preferred choice in the field of technology. What the iPhone has done for Apple in the Smartphone market, the iPad mini is doing in the tablet segment. Apple is now planning to beat Samsung in the tablet space like it is doing in the premium Smartphone segment. 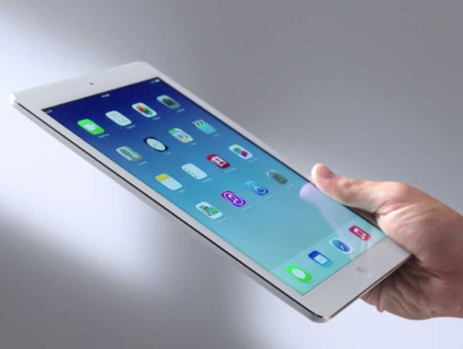 Moreover, it is expected that Apple’s iPad mini is taking flight to Samsung’s door in the tablet market-space and striving to conquer the smart-tech world with smart-tablet technology. The top features of iOS7 like control center, Airdrop, and smarter multitasking make the experience of using iPad Mini even better and much simpler than ever. These two were not just designed to work together, they were designed to enhance one another. Without any doubt, if you are a big fan of Apple, the massive jump in features like screen resolution is the most welcome change on the Apple’s tablets. But, what’s more impressive and hard to truly appreciate at times, is that there is no drop-off in pixels in the smaller screen size. Is Apple better than Samsung? Which has the edge on the specifications? Both tech giants are enormously popular, but both are incredibly different. Like the Galaxy S4, the Apple iPhone 5s takes smash hit to an incrementally new level. The Apple models are faster than Samsung models. The improvements in the display, screen, and the camera keep Apple ahead of competitors (Samsung, Nokia, etc.). If you are an avid fan of Apple models and you want multitasking features, then Apple is the best option to have. Control Center: Apple’s new Control center makes the life of Apple users much easier. It serves as the hub for everything such as Wi-Fi on/Off, display brightness, Bluetooth, alarm clock, calculator, and music volume control. Lock Screen: The lock screen is beautifully designed and significantly more faster-focused than in the past. Wallpapers: The new operating system, iOS 7, has a slew of newbeautiful landscapes and wallpapers which fits the user’s preferences. Weather App: The new weather App of Apple iOS7 comes with a lighter background and more interactive functionality. When it’s raining, small water drops appear on your screen and if it’s cloudy, you can see puffs of clouds. Latest Ringtones: Apple has added new ringtones in iOS7 and some of them are actually good. Open App Preview: By double clicking the home button, you will be able to view all applications and web pages. For those devoted Apple-product consumers who are tired of being left behind technologically, the new iOS is a welcome sight. This new iOS 7 gives Apple users a more comfortable and attractive look for their smartphones. In spite of the growing dominance of the Android OS, Apple Inc. continues to maintain a healthy lead in the world of Smartphones. According to recent reports, the launch of the iPhone smartphones helped propel Apple to the top in the market. With a figure of 42% of Apple smartphones owned in the U.S. in the 4th quarter of 2013, it leads samsung’s 26% share. As the giant technology firms Apple and Samsung grew, significant losses were seen by competing smartphone makers like Motorola, HTC and BlackBerry. Only LG Inc. seemed to slightly gain an edge, but figures indicate that it still controls less than 10 percent of the market. In terms of operating system, BlackBerry grabbed a 3.4% share in the market and remained slightly ahead of Microsoft Corporation’s Windows OS, which had a 3.1% share in the market. “The only way for manufacturers to pull ahead in this new mobile landscape is to ensure they are able to meet the upgrade pace and recover the value of existing or old devices, creating stickiness between them and the consumer,” opined by Bashar Nejdawi, president of Ingram Micro North America Mobility. In a surprising move, the popular Evaders hacker team has just released their long-awaited Evasion iOS 7 Jailbreak. Using this tool, any iOS 7 user can jailbreak its iOS devices such as iPhone 5, iPod touch, iPad mini, iPad 3, iPad 2, and more. This iOS 7 Jailbreak takes only 5 minutes to install and is compatible with both OS X and windows based devices. 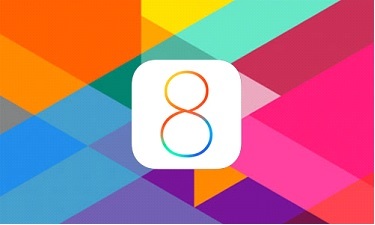 With the untethered jailbreak, iOS 7 users will not have to worry about booting their devices. An untethered jailbreak is the preferred tool because it requires no connection to a computer except for the initial jail breaking process. A user can reboot his or her iDevice as much as they want without having tether it to their computer to boot. iTunes installed if you are running windows operating system. A USB cable to connect the device to the computer. Before using Evasion 7, backup your device first using iTunes or iCloud. Try to disable the lock passwords of your iOS device. It can cause issues. Avoid all iOS and iTunes related tasks until Evasion 7 installation is complete. A Growing population of iPhone lovers makes Apple the best and the most preferred IT source. After Samsung & Nokia, Apple is considered the World’s 2nd largest IT Company. Whenever we talk about Apple, the first thing that strikes our mind is its remarkable product – iPhone. Every year, Apple comes up with great innovations in the form of its latest version of its iPhone series. The iPhone 5s is an amazing creation that has once again turned heads towards Apple and proved its superiority. Let’s have a look at the amazing features of Apple’s 7th generation Smartphone, dubbed iPhone 5s. iPhone 5s is the first Smartphone powered by A7 chip with a 64-bit architecture. This A7 chip delivers CPU and graphics performance up to 2 times faster than the A6 Chip that powered the iPhone 5. Moreover, the A7 Chip supports OpenGL ES version 3.0 to deliver complex visual effects. iPhone 5s’ 64-bit processor has amazing computing power and it delivers a great effect on tasks such as photo and video loading. Unlike iPhone 5, the iPhone 5s is quick to perform every task such as loading music and movies in iTunes or processing iMovie and GarageBand files. Unlike previous iPhone models, iPhone 5s’s camera houses a large aperture, image sensors, automatic image stabilization, and dual-flash LEDs for improved color effects. With a tap feature, users can make video calls from their iPhone 5s handsets to another FaceTime enabled iPhone or any other device. Users can share some good talks with friends with the FaceTime video call functionality. iPhone 5s has a striking exterior and is available in three eye-grabbing colors: gold, silver, and space gray. It is also unbelievably thin and light. Using patterns and passcodes each time slow you down. The newly introduced feature, “Fingerprint”, in iPhone 5s allows you to check your iPhone dozens and dozens of times a day very quickly by using your fingerprint to access it. This 7th generation Smartphone – iPhone 5s has 13 LTE bands which is more than any other Smartphone. These LTE bands allow users to get fast download and upload speeds no matter where they are in any corner of the World. Apple is a company reputed for its innovative technologies and out of the box ideas. It has continued to impress millions and millions of people worldwide, and strives to continue exceeding expectations in times to come. In an attempt to go above and beyond, Apple is now rumored to be working on a curved screen model design for its new smart phone. Work on the new smart phone is scheduled to begin in the second half of next year, with a likely release planned for the third quarter. Apart from the curved screen, another feature that is generating raves is the better quality touch screen sensor. This better touch screen sensor will introduce fine pressure sensitivity for the devices that are going to be launched thereafter. Apple is the forerunner when it comes to technological advancements and delivers outstanding innovations always. 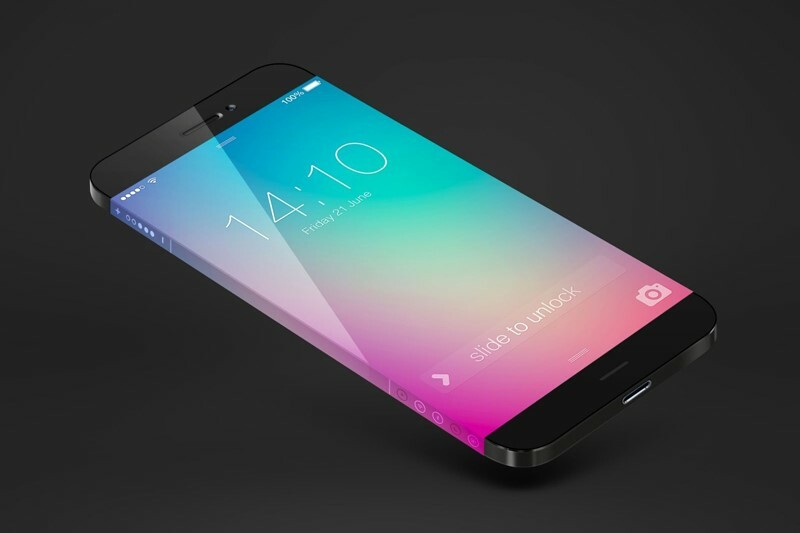 Apple is planning to launch not one, but two iPhones in 2014. The same was done in 2013 with iPhone 5s and iPhone 5c, so the idea that Apple could think of doing something similar in the future has a great probability. Retaining iPhone 5c as its third budget device would also allow it to go ahead with their plan without adding crazy complexity to its product lineup. The two major points that the new phone is set to cover includes a bigger screen size and sensors. However, for Apple fan boys who are quite content with the screen size, the better screen sensors are a major draw. The pressure sensitivity will promise a finer experience with drawing and handwriting applications, and make them a lot better. The new phone can become a rage with professionals as an artistic device if such features are introduced. In addition to that, it would help people jot notes, doodle, and perform minor photograph touch-ups. It was a great day in New York. This day was 14th March 2013, when Samsung introduced its latest technological marvel, the Samsung Galaxy S IV. The event was a huge hit. Thousands of people were entertained by a live orchestra. Samsung invited seventeen actors to display the amazing features of this phone in a series of theatrically scripted performances. Considering the likes of the Samsung Galaxy S3 and the Samsung Galaxy Note 2, we knew that the S4 wasn’t going to be small. With dimensions of 69.8mm x 136.6mm and 7.9mm thick, it’s surprisingly thinner than the S3 and feels far from big to hold. Weighing it at 130g, it’s heavier than the iPhone 5 (112g) and lighter than Sony Xperia Z (146g). But, the extra heft of Samsung Galaxy S4 gives a reassuring feel in the hand. Read more at (http://bit.ly/WrNIjc). A 13-megapixel rear camera and a front-facing 2-megapixels camera, including new features such as Dual shot and Drama Shot. The Samsung Galaxy S4 is the latest innovation from Samsung. 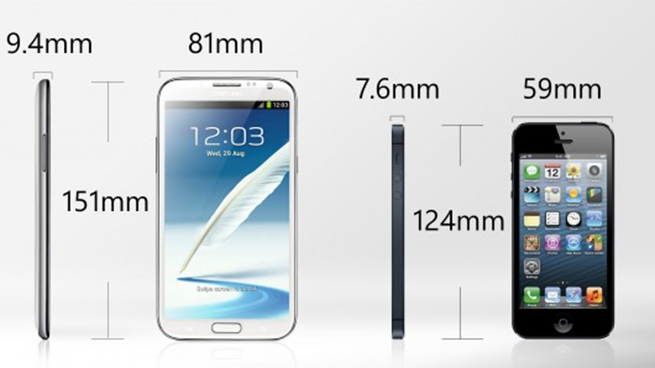 Samsung has managed to build a bigger 5 inch HD screen into a body slightly smaller than its previous Galaxy S3 phone. The Galaxy S4 has certain features that will give tough competition to Blackberry as well. This new Flagship phone from Samsung has all the required specifications that can give tough competition to Apple’s iPhone 5 and could easily become the king of all the Android powered Smartphones. ‘Android’ leads with its 58 percent share in the app world. In second place, there is ‘iOS’ which has a share of 33 percent. Windows phone has secured around a 4 percent share. And finally, BlackBerry is at 3 percent. ABI also predicts a growing number of Smartphone-focused developers will adopt an Android-first strategy within the year due to the platform’s “vast installed base and the generally improved conditions in app building.” This is something that has been widely trumpeted for a while now but has yet to surface given Google’s fragmentation problem. We can assume that Google will actually benefit from Android being the front runner in app development. Android’s open design and easily re-programmable firmware has prompted the app developers to work more extensively towards customized apps. It has provided the developers an open ground to work on. They can make their customers a more user friendly interface which can be restructured and upgraded any time. This kind of flexibility from Android has attracted a large number of people. Thus, making the Android powered Smartphone a success.